Wouldn't it be wonderful to provide the an orphan with the opprtunity to learn, and have good schooling so that he/she may have a better future? We would love to have you share our vision and help these helpless children. We are not asking you to make a separate donation, we will do this from our income, think of it as working together with us to help orphan children. 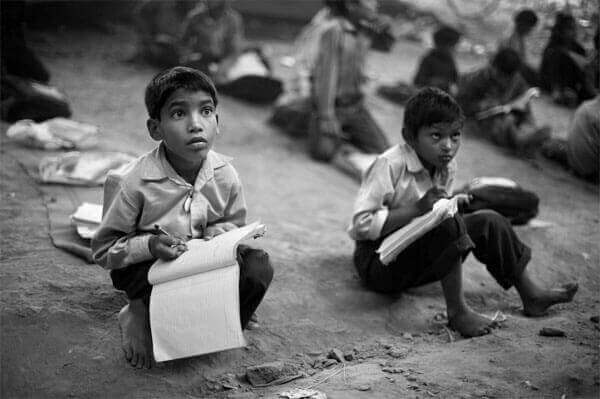 For every virtual employee you hire, we will provide education for an orphan child on an ongoing basis. It does take a bite out of our bottom line profits, but we believe in helping others, and we hope you will share this vision too. So if you have 10 virtual employees in your team, we will be supporting 10 orphan children with their education, giving them full time schooling. Imagine the difference we can make together! Staff India is here to stay, and we will keep growing, we hope we can support more and more orphans with your help and of all our clients. We like to think of our business as a Helping Hand. We believe we are helping businesses survive competition and tough economic times, as well as helping unpriveleged individuals in the indian sub continent get a good job. But we want to extend our helping to young orphans. Those who are in need of direction, support and guidance. Those who have no parents to watch over them. Those who have nobody to teach them what is right or wrong. Those who will be the future. Our aim of providing outsourcing facilities to small and medium sized businesses is to support businesses grow with reduced overhead, as well as provide tertiary sector jobs for educated but unprivileged people in the Indian Sub Continent. It really is a win win situation for both the business owner, and the unpriveleged virtual employee. but the country does not have the jobs to accommodate this growing skills set. This is an excellent resource for companies in UK, US, EU and other first world coutries to exploit. Exploiting this resource allows us to cut our costs and make huge savings as well as support the unprivileged and give them jobs. We are a fair company. We pay our employees significantly above the national average. This allows us to hire only the most capable individuals in the job market we operate in.